Junior Savannah Brija and senior Libby Burns raced across Cayuga Lake during the Cayuga Sculling Sprints regatta Sept. 24. Brija and Burns placed second overall with a time of 16:04.9. 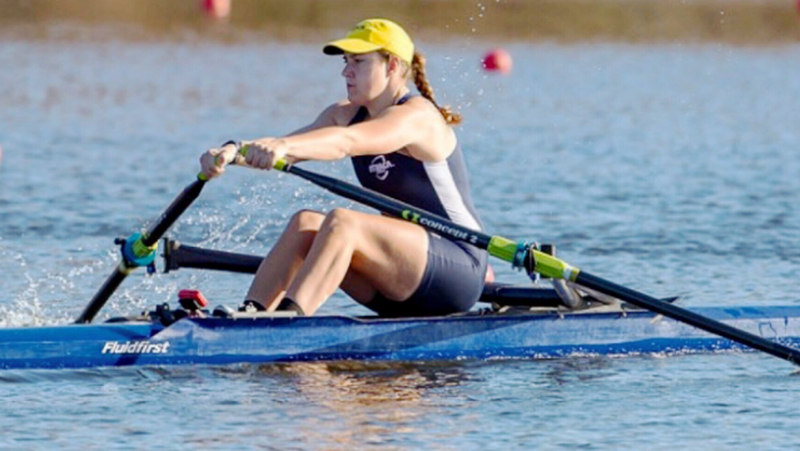 On Sept. 24, the Bombers started off their season with a huge splash, taking home four medals at the Cayuga Sculling Sprints. 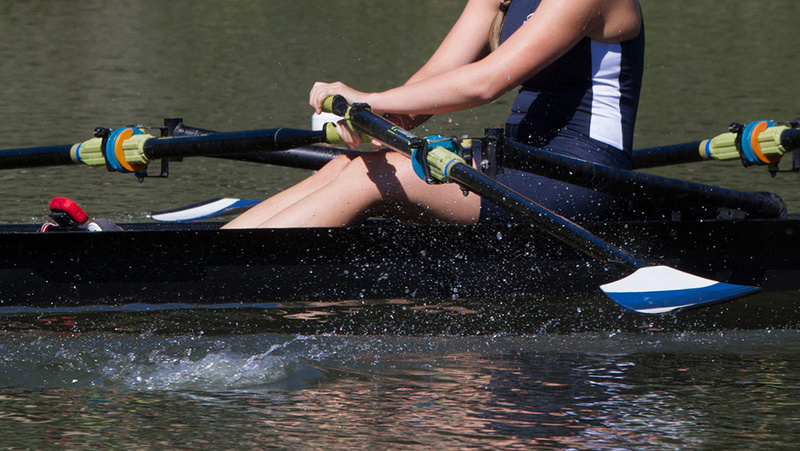 The women’s sculling team began with 2k time trials at Cayuga Inlet, then led into 1k sprints. Senior Karina Feitner, sophomore Pearl Outlaw, sophomore Megan Dicostanzo, senior Victoria Demiris and senior Julia Williamson started the 2k time trials in the 4x+ “A” boat finishing in 7:56.3. This led the Bombers to the 1k sprint where they finished in first place with a time of 4:01.1. The 4x+ was not the only boat to succeed in the water that day. In the open 2x, the “A” team, seniors Libby Burns and Savannah Brija, dominated the 2k time trial in 8:02.1. The duo remained on top of their game finishing the 1k sprint in 4:01.4, resulting in a first-place victory for the Bombers. The Bombers’ “B” boat of senior Madison Bess and senior Bailey Doran finished the 2k in a time of 8:39.3 and a 4:20.3 in the 1k sprint. Sophomore Jennie Brian finished first in her class in the lightweight single, dominating the 2k with a time of 9:08.6 and 4:36.4 in the 1k sprint. Senior Emily Campagna and senior Katie Lawson also took the lead in the lightweight finishing the 2k in a time of 8:33.1 and the 1k Sprint in 4:20.7. Second and third place in the open single was taken by senior Colby D’Onofrio and junior Sierra Keat respectively. D’Onofrio finished her 2k in 8:53.4 and her 1k sprint in 4:27.3. Keat completed her races with a time of 9:21.9 in the 2k and 4:44.0 in the 1k sprint. The Blue and Gold’s next regatta will take place at 9 a.m. Oct. 1 in Putney, Vermont for the Green Mountain Head Regatta.